Look at what you can make out of ‘Minecraft.’ Just look at it. Neither the idea nor the mods necessary are by me—I just went some lengths in order to get it to run with ‘Minecraft 1.8.1,’ the latest version. Actually two nights ago I was browsing videos of photorealistic mods for GTA4 when YouTube suggested AnonimusSVer’s video called ‘↑Photorealistic Minecraft! 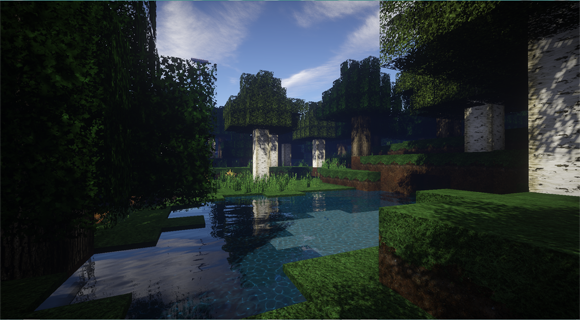 Shaders + HD Texture Pack + Physics Mod (GTX 760).’ It completely stunned me. Instantly I loved the absurd idea of a 3D-world completely made of cubes, but clad in photorealism, and the strange atmosphere it creates. So I set out to recreate it, which needed some research and searching around. See below for due credit, complete information, and links for all mods and software employed. The following three pictures show the exact same view. The first one as vanilla ‘Minecraft’ gives it to you. The second one as the ‘SEUS’ ultra shader renders the default textures. For the third one I combined the shader with Scuttle’s photorealism textures … just look at it. DAXNITRO, ID_MINER AND KARYONIX. 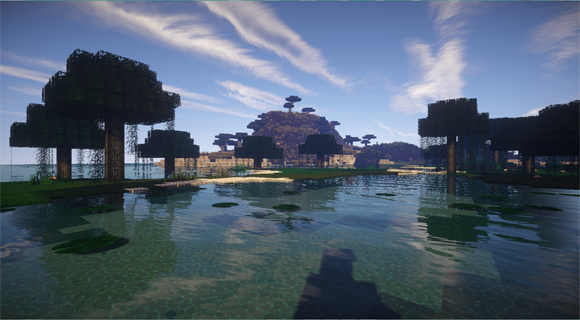 2014.↑ GLSL Shaders Mod for Minecraft 1.8.1/1.8/1.7.10 [computer program]. Version 2.4.1 alpha [15 November 2014]. KAHR. 2014. ↑MCPatcher HD fix [computer program]. Version 5.0.0_02 release [24 November 2014]. MOJANG. 2014. Minecraft [computer game]. Version 1.8.1 [24 November 2014]. Stockholm: Mojang. ORACLE. 2014. ↑Java SE [standard edition] Runtime Environment [computer program]. Version 7 Update 72 (Build 1.7.0_72-b14). Redwood Shores: Oracle Corporation. SCUTTLES, MISA, ADRIORN AND AAGEON. 2014. ↑LB photo realism x256 [digital textures]. Version 10.0.0. SONIC ETHER. 2014. 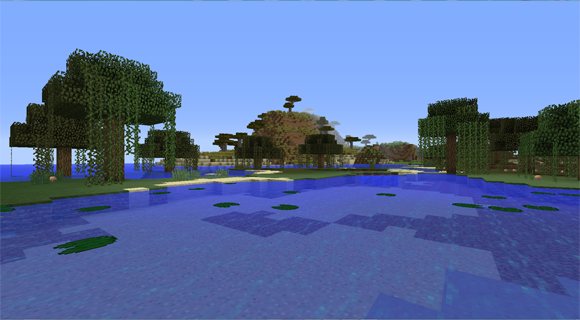 ↑Sonic Ether’s unbelievable shaders mod for Minecraft 1.8.1/1.8/1.7.10 [computer program]. Version 10.1 Preview. Wow, this is magic. Thanks for the detailed description of how to do this. I want to try. You are very welcome. :) Let me know once you’ve done it and drop a line or maybe even a screenshot. Here’s a bit of an update: There is a ↑brand new version of the LB photo realism resource pack, and ↑SEUS gets continuously updated, too … just as its base, the ↑GLSL Shaders Mod—with the latest from the links you are equipped to make your Minecraft 1.8.1 photorealistic.